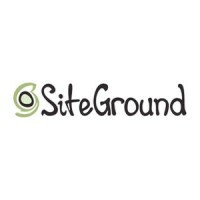 SiteGround has been providing web hosting solutions for 9 years now. They offer Web Hosting, Semi-Dedicated, Cloud VPS Hosting and Dedicated Hosting services. The company has datacenters in Unites States, Europe and Singapore with more than 1100 servers. SiteGround takes pride in having advanced redundancy and physical security in their datacenters. SiteGround has a team of enthusiastic and young IT professionals. These people have the technical expertise needed to successfully run the business. The customer service team provides excellent support to all its clients. Clients are assured that they know their product and service and are able to assist them in whatever concerns they might have. SiteGround takes web hosting seriously. Unlike many other web hosting providers, SiteGround makes sure that they deliver what they promise. The company has been in the industry since 2004 and for 9 years, clients have had nothing but praises for them. They have datacenters in 3 locations: United States, Europe and Singapore, with over 1100 servers. Over the years, SiteGround has amassed a growing list of web hosting services to help clients reach their goal. The company has more 250,000 domains under its care. SiteGround aims to provide the fastest loading speed plus guaranteed highest uptime possible. Aside from unlimited disk space and traffic, SiteGround Shared Web Hosting also comes with free domain name and free website building tools. With the free website tools, you will also get free blog and CMS tools, shopping carts for those who need an ecommerce website and unique website set-up tools designed by their in-house web designers. This web hosting service has email features including free spam protection. It also uses cPanel control panel, which helps you manage your files, domain, and email, among others, more effectively. SiteGround Reseller Hosting, on the other hand, is perfect for those with many websites and those who wish to start their own web hosting business. Reseller hosting offers fantastic features and benefits at an affordable price. Benefits include easy account management wherein you can activate and reactivate, and also suspend accounts with just a few clicks. SiteGround will give you freehand when it comes to pricing your reseller accounts. VPS Cloud Hosting guarantees the resources of the VPS technology with the redundancy of cloud storage. All VPS packages come with high performance and reliability for optimum performance. SiteGround also provides full server management with its 24/7 customer support and regular backup checks. You can also take advantage of its server management tools, which include cPanel, WHM, Softaculous and private SSL access. If you wish to transfer from another web host, SiteGround support team can help you with it. The team will transfer your website free of charge. You are guaranteed assistance during the transition period. When you transfer your website to SiteGround, you will also get free database transfer and better website performance. SiteGround extends a 30-day money-back guarantee to all its clients in the event that they find the service unacceptable to them. Whatever type of hosting plan you have with SiteGround, you will get 24/7 customer assistance from knowledgeable and reliable individuals, through phone, email and live chat. The IT team is composed of young, talented IT specialists ready and able to assist in any IT-related concerns. You can also take advantage of SiteGround’s tutorials and knowledgebase for quick answers to your questions. SiteGround also has an online community wherein you will find the latest news about the company, and also share opinions and ideas with other clients.